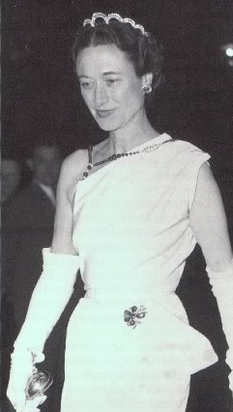 An American expatriate hostess extraordinaire, the Duchess of Windsor, in the late 1930s. More than 100 of the duchess’s dishes, from appetizers to desserts, were published in Some Favorite Southern Recipes of the Duchess of Windsor (Charles Scribner’s Sons, 1942), a slender but stylish cookery book whose royalties were earmarked for the British war-relief effort. First Lady Eleanor Roosevelt penned the painfully earnest foreword, while the duchess, then cooling her high-society heels in the Bahamas, wrote the introduction, observing, “I have been very happy to help carry some of the well-known dishes of my native land to other countries, and especially to have served on my table Southern dishes which appeal to the Duke … [It] is the simple dishes of my homeland which are most popular with me, and which are the ones most frequently served at my table.” Whether Wallis Windsor actually wrote those words is arguable, since the book was copyrighted by food journalist Marie M. Meloney, a friend of Mrs Roosevelt’s. It was Mrs Meloney who doubtless encouraged the duchess to provide only easy, accessible recipes, which most of them, perhaps surprisingly, are. My husband had first crack at the book when it arrived in the post, and last weekend, for a large dinner party, he made the duchess’s recipe for Wine Jelly. Think of a cool, quivering dessert the color of French-vanilla ice cream and infused with the delicate taste of white wine. Odd, perhaps, but strangely elegant, especially when prepared in a ceramic mold that gave it a decorative appearance, rather like carved Carrara marble. My husband has begun to amass a collection of such molds, so expect some extraordinary desserts to result as time goes by. The verdict? A slightly bland but refreshing dessert that might have been improved with a bright drizzle of raspberry sauce. We’ll be serving it again—the looks are impressive, which is half the battle, don’t you think?—though I will be experimenting with other types of wines. Wine Jelly might look beautiful prepared with jewel-tone layers of rosé and white wine or even Champagne. And instead of white granulated sugar, which the recipes calls for, perhaps light brown sugar would add a deeper flavor note. SERVES: Six (6) portions, according to the cookery book, we managed to get nine (9) good slices out of the recipe. 1. In a bowl, soften the gelatin in the wine and set aside. 2. In another bowl, combine the eggs and sugar. Add milk slowly, stirring constantly. 3. 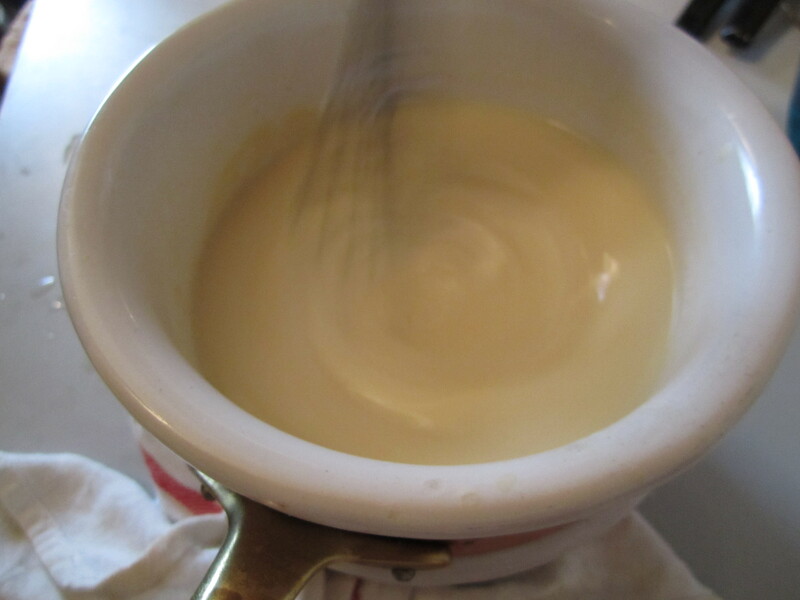 Transfer to a medium sauce pan over hot water, or to a double boiler, until the mixture coats a spoon. 4. Remove sauce pan from the heat. 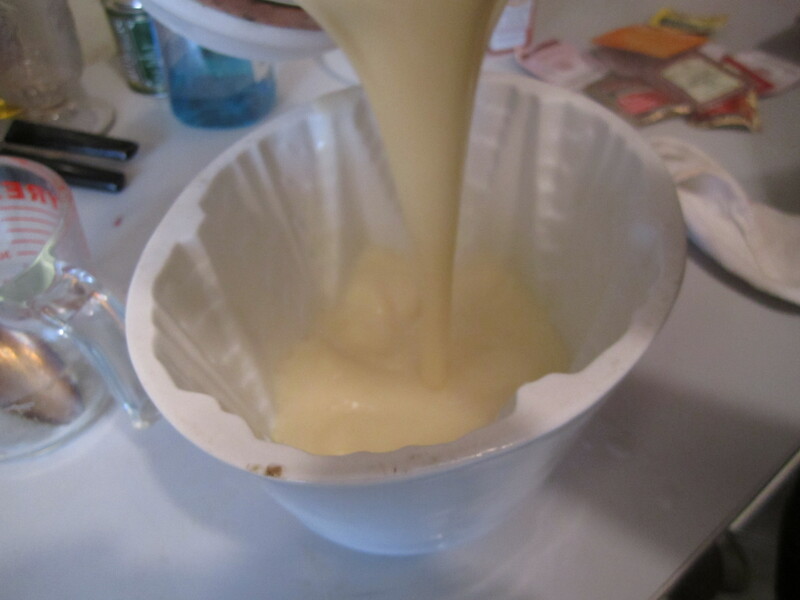 Add gelatin to the milk-and-egg mixture. Stir until dissolved. 5. Carefully pour the mixture into a mold. Chill until firm. 6. When ready to serve, dip the mold, for just a moment, into a bowl of warm water to loosen. Place a serving plate, upside down, on top of the mold, and turn the mold over, waiting for the jelly to loosen. 7. Serve immediately, slicing the mold as one would a loaf of bread, with one slice per person. This entry was posted in Uncategorized and tagged Desserts, Duchess of Windsor, Southern Cooking, Wine Jelly. A burgundy wine jelly was a featured dessert on one of the old-school restaurants in the city where I live from the time I was a child until only a few years ago. Delicious, grown-up, and slightly mystifying, recipe-wise, until now. Great post! I found “Some Favorite Southern Recipes of The Duchess of Windsor” several years ago in an antique mall in West Virginia, not far from the Maryland border. The idea of the Duke and Duchess eating corn pone (recipe is on a dog-eared page 89) makes me smile. The Pork Cake is a must! Sherry wine jelly is an old, old Southern recipe, not heard of much any more (port or Madeira would be even better). These were clear – no milk – and scooped into small stemmed crystal dessert dishes after a heavy meal. Would probably be lovely with a sauce. My grandmothers (one an prominent Southern cookbook author) relished these things, but those like me who grew up in the 50s and 60s on Jello probably stay away. The real thing is much more delicate. Port or Madeira sounds terrific actually … And, yes, the Wine Jelly we prepared was terrifically delicate and light. A quick look at old recipes shows they have gelatin, water, wine, lemon juice and sugar. Usually not molded, and served with whipped cream or creme anglaise. Amazing it’s gone out of style, sort of like tomato aspic. The jello curse, I guess. I’ve also seen similar wine jelly recipes in which they are made in very complicated molds, in the 19th century, at least the English variety by major chefs. Tomato aspic is delicious, and one of the best summer dishes is salmon in aspic. I have this first edition book which has been obviously tested and hand written with hand-wirtten notes about the Duke and Duchess’s preferences, etc. What month did this book come out? 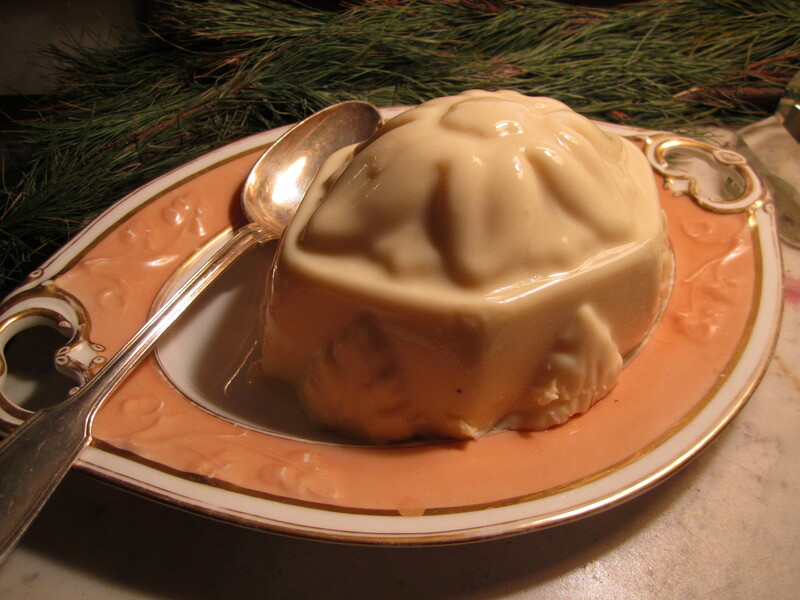 I love molded “things.” There is a lovely website that features elaborately molded jellies and creams.